Would you go on an overseas vacation without knowing how much you were going to spend? Would you risk running out of money in some foreign city, far from home, with nowhere to turn for help? You’d have a budget. You’d work out how much you were going to spend on various items. That way, you could rest easy. Incredibly, however, many people fail to budget properly for the biggest vacation of all … retirement. What’s the Big Vacation Going to Cost? Unless you plan carefully, you could easily run out of money in retirement. The Bureau of Labor Statistics (BLS) recently reported that the average household headed by someone 65 or older spends $45,756 a year. That’s about $3,800 a month — about 80% of average U.S. household spending. That’s in line with the rule of thumb that you’ll need to replace 70% to 90% of your income to maintain your standard of living in retirement. But averages often conceal as much as they reveal. For example, how much do U.S. retirees spend on the various components of that monthly expenditure? Unsurprisingly, the single biggest expenditure is housing, which includes property taxes, insurance, utilities, repairs and household supplies. Notably, housing clocks in at 38% of the average retiree household’s expenses. Given that the rule of thumb is that you shouldn’t spend more than 30% of your income on housing, this shows just how much exorbitant U.S. housing costs are hurting retirees. Most of the other categories are about what you’d expect. Unless they aren’t, of course. Here’s where retirement planning can be so tricky. You can’t just extrapolate your overall expenditures today into the future. You must also consider your preferences. 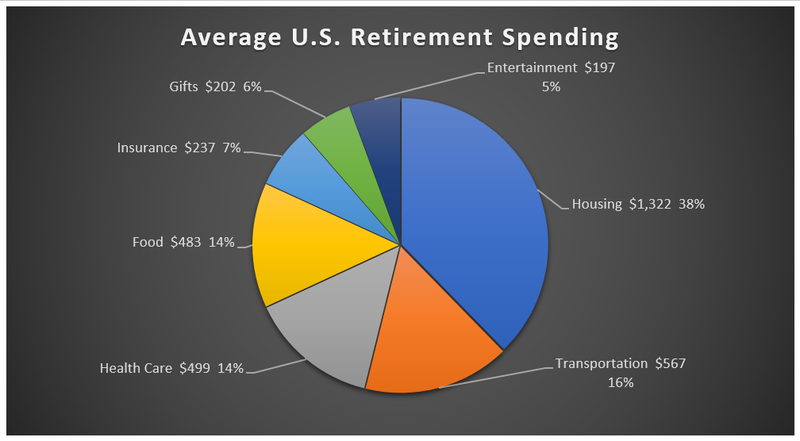 For example, the lowest category of retiree spending, at 5%, is entertainment. But not every household would be willing to skimp on that category. If you have a passion for opera, your percentage might be a lot higher … which means something else would have to give. A similar logic applies to food. What about you? Would you be happy going from ribeye to cube steak? Or in my case, from jumbo lump backfin crabmeat to those red imitation snow crab horrors? The bottom line is that you must do more than just estimate the total. You must have a good sense of where you might have to compromise. Surprisingly, medical care comes in at only 14% of expenditures for the average U.S. retired household. Two-thirds of that is insurance premiums, including Medicare premiums. The other one-third is out-of-pocket medical expenses. That’s par for the course. It’s how the average U.S. household’s health care expenses are allocated. We economists call an expense “lumpy” when the average conceals significant variations over time. For example, you might spend about $500 a month on insurance and copays. But if you get sick, or if you need an operation, that could easily spike thousands of percent. 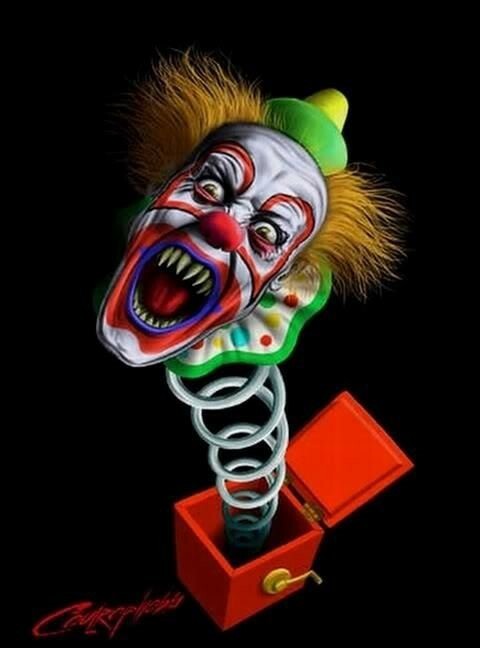 In retrospect, health care is like a jack-in-the-box. You know it’s probably going to pop up, but you don’t really know when. That’s what makes it so scary. That’s why health care is the second big area where retirees need to do more than just budget for a monthly or annual total. You must also factor in those unexpected expenditures. How are you going to pay for them? Are you going to set aside some savings every month? Is there enough spare cash in your retirement funds to cover certain medical expenses? Those are the kinds of questions that focusing on average retirement expenditures conceal. Part of the American dream has always been the ideal of a carefree retirement. Beachside cocktails at sunset. Flying kites with the grandkids. Visiting all the places you’ve wanted to see all your life. As many of us know from bitter experience, however, today’s reality is often very different. Instead of barefoot walks on the beach, many retirees are walking the aisles at Walmart restocking shelves. That doesn’t have to be you. All it takes is some sensible planning now. That’s precisely why The Bauman Letter exists … and why I’ve just taken it one step further, with an exciting new resource that will help keep your feet on the beach, where they belong.